Are you on Shopify and migrating across from MailChimp? Until May 12th, we'll migrate your MailChimp lists, templates and automations across for FREE and give you up to $50 credit back on your first month on a paid plan! Just add the code SHOP50 after you sign up and reach out to our support team and we'll manage the migration for you. After the list export loads, click Export as CSV to download the file to your computer. You'll have downloaded a ZIP file containing up to 4 CSV files for each list. 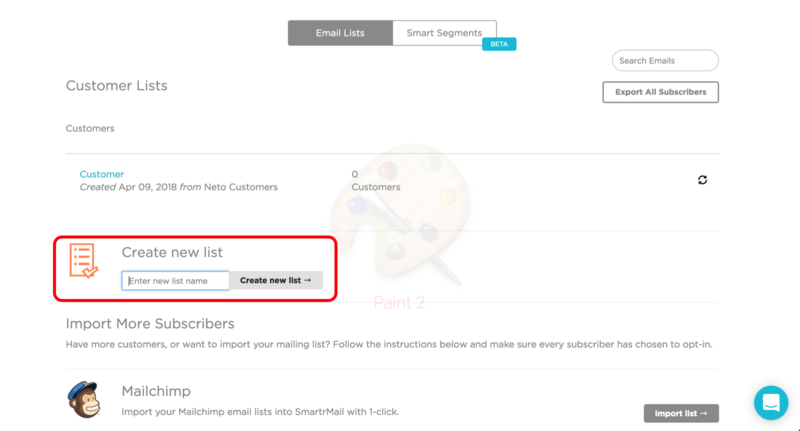 In order to do so, you will have to create a new list in SmartrMail on the Subscribers page, and then to add the .csv you exported from MailChimp. Only import the .csv file with subscribed members. All you subscribers from MailChimp are now in SmartrMail. Upload the other .csv files that came from your MailChimp list export. These include: unsubscribed, cleaned, and non-subscribed members. Note that you will have to match the email customer field with the email Import Columns. All others Import Columns should be marked as "skip". Then scroll down and click on "unsubscribe".